Financial planning for small businesses is easy with these useful tips. Achieving your dream of turning your small business into a successful company is appealing, but many find the task daunting. There are a lot of risks with any start-up business. And while a do-it-yourself attitude might be a great asset when getting a business off the ground, that type of entrepreneurial spirit will not necessarily ensure profitability. That’s when good financial planning for small businesses becomes essential. So, if you have dreamed of being your own boss and don’t know how to guarantee that your business will make money, this is the article for you. We have useful financial planning for small businesses and tips that will help ensure growth and success at your company. 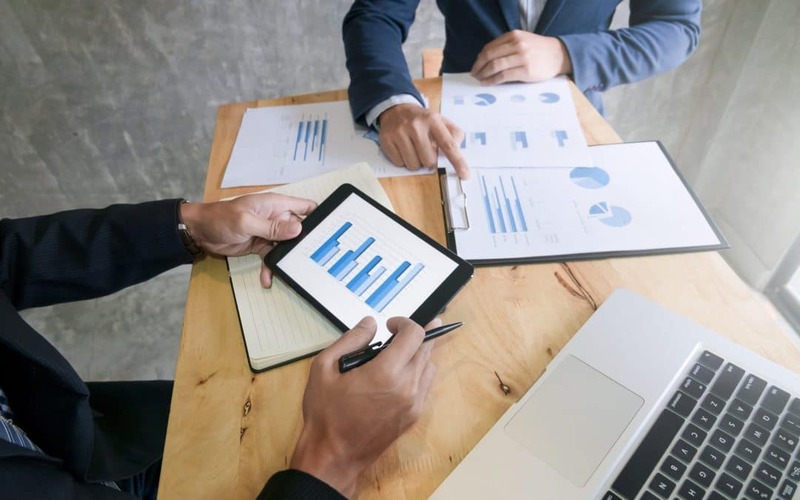 Financial planning for small businesses requires that you create not only a business plan, but also determine your short and long-term financial goals. Your business goals could potentially interfere with your personal financial goals. For example, you may have a need to save a certain amount each paycheck for your children’s college education, but that might interfere with your upcoming business expansion. For successful financial planning for small businesses, you must find a balance between your personal and business objectives. When starting a small business, many people overlook the importance of a solid business plan. However, having one is essential to the success of your company. Your business plan should include a clear description of the business, current and future employee projections, market threats and opportunities, capital needs (think: a projected cash flow and budget analysis) and a competitor analysis. Also, take the time make sure that you have a solid understanding of your industry before launching any new company. Also, establishing your financial products and services they are offered to the public is important. Keeping your business plan up-to-date will help you with financial planning for small businesses like yours. And while you are at it, make sure that Blitz Sales Software is part of our company’s operational plan. Discover the numerous benefits to your organization when your team is using our software for follow-up. A person needs money in order to start any business. One tip for sound financial planning for small businesses is to always secure the appropriate financing before starting your company. Funding could come from a variety of sources. These include but are not limited to personal savings or the sale of property or other assets. But sometimes a business may need to seek out external funding such as a loan. Another great source of money to start or expand your company is your customers. Consider approaching select customers with a product and in exchange for an advance payment, give them a certain percentage off the final price. Get creative and don’t be afraid to explore every reasonable alternative. And when you are ready to launch your organization, select the Blitz software plan that works best for your company, or give us a call at 419-841-8800 with any questions. One of the best tips for successful financial planning for small businesses is straightforward: your company needs to be making more money than spending. One of the top reasons small businesses fail is because they do not generate enough revenue to cover their expenses. Business owners must stay on top of expenses, always. Each cost should be tracked and analyzed to determine where money is being spent incorrectly to reduce wasteful spending. While this may not be your favorite chore, controlling the operational expenses of your business is essential if your company is going to make money. Could your small business use better follow up software? We can help you track customer relationships and win more business with automated sales follow up! Learn what pricing plan fits best with the needs of your company and get started using Blitz today! A common financial hurdle for small businesses is your liquidity. Liquidity is your cash flow from which you pay employees, creditors, and vendors. Sound financial planning for small businesses requires that you are able to generate and maintain healthy growth. This makes building a disciplined system for managing your accounts receivables and payables essential and will provide a much needed cash buffer in case of an emergency at your company. Nobody likes paying taxes. The filing process can often be complex and paying them can be, well, downright painful. If you are a sole proprietor, then you are under different tax rules than a corporation. If you are unsure of your financial obligations as a small business owner, speak to an accountant or tax lawyer for assistance. Start the tax filing process early and keep a clear record of all your expenses. Remember to pay all your federal, state, and local taxes on time, or ask your accountant about extensions. The last tip on the topic of financial planning for small businesses is hopefully the one you never have to use: how to create a safety net in the event of financial hardship. Many businesses have a sizable amount invested in their personal business. This, unfortunately, exposes their personal financials to substantial risk in the event of a downward turn in the industry or at your company. Talk to a financial consultant regarding what type of asset allocation (stocks, bonds, money market funds or something else) works best for you and your unique business situation. Follow up with your customers with easy-to-use sales follow up software! Blitz is reasonably priced, and is packed with the tools your financial advisor small business needs! Sign up today for your free trial! What questions regarding financial planning for small businesses do you have for our team? Blitz would like to hear from you! Please share your thoughts and post your comments below.